Okay guys, get ready for a picture-heavy entry! 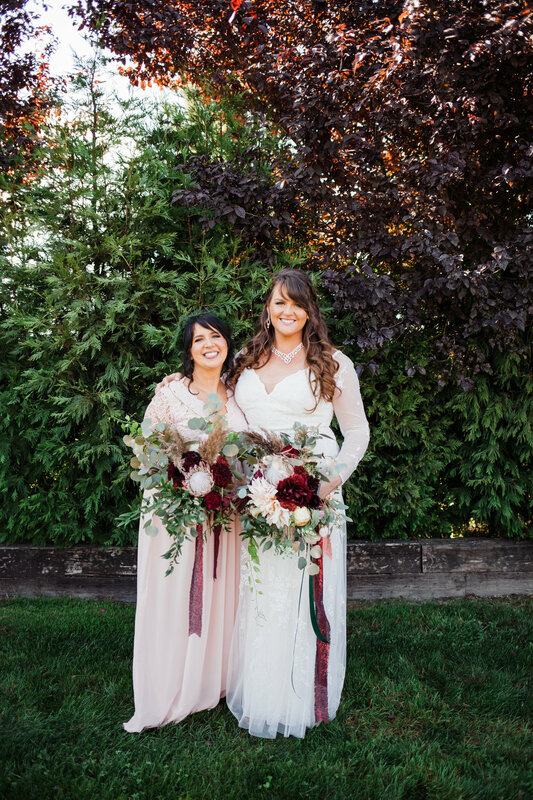 This wedding was not only my best friend’s but she lived with myself and my husband while planning, (I can still remember the night she meant Bruce for the first time and we knew he was The One) but she asked me to be her wedding planner, day of coordinator, bridesmaid and florist! 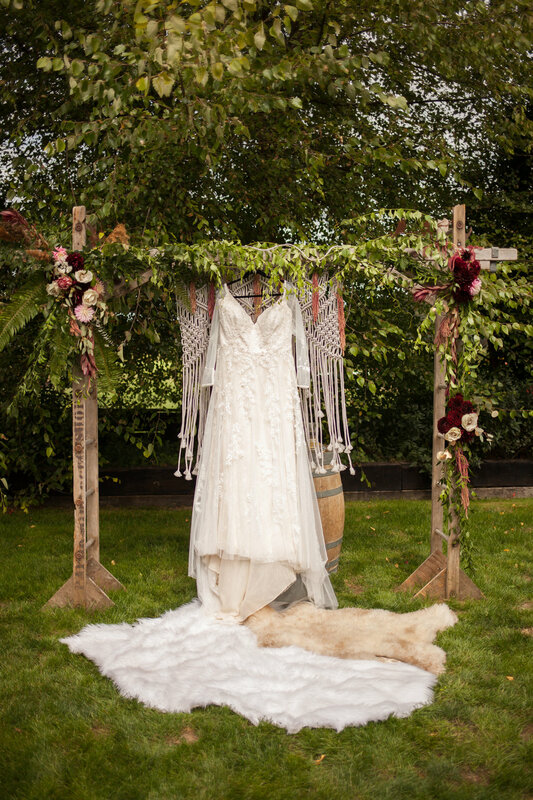 My husband was one of her bridesmen and I got to basically go crazy with her color palette, her boho woodland vibes and her country-chic sensibility. Her fiance, Bruce, is one of the funniest, sweetest, dedicated men I’ve ever meant and it was such a fun 14 months of planning, saving, dreaming and doing. 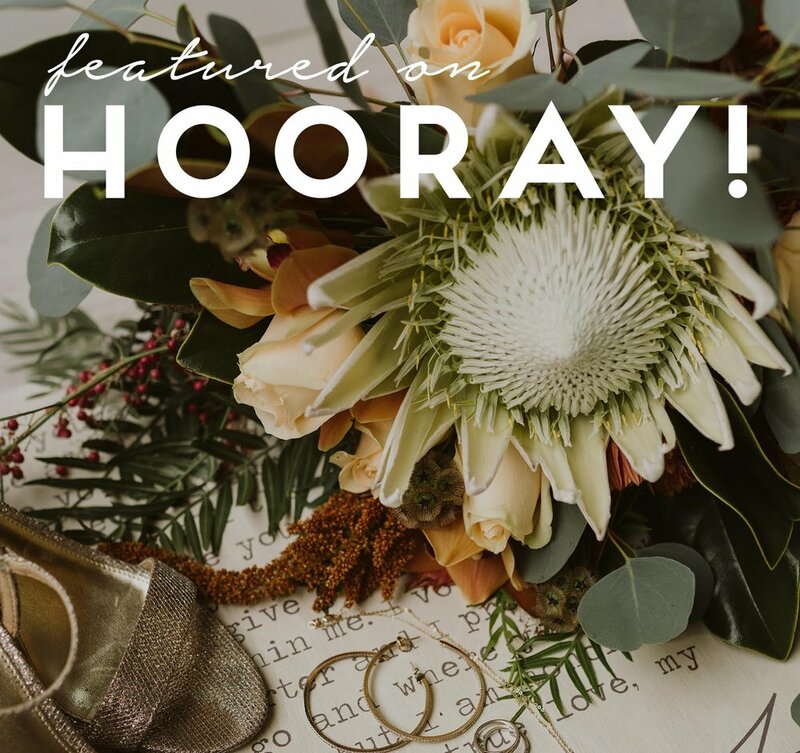 All photos are by the incredible Kristina Lord, not only is she a talented young photographer but she is also a kickass lady and I have so enjoyed working with her on this wedding and quite a few others! Check her out at @kristina.lord on insta. 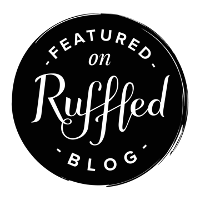 For Christa and Bruce, their Stocker Farm September 1st wedding was a day to spend time with out of town friends and family, enjoy some amazing BBQ from J&L as well as dance the night away to country favorites. Their welcome table had a beautiful floral arrangement, their welcome sign made by Woodinville Sign Lady and framed photos of loved-ones who had passed away and were there in spirit. Favors were candied apple kits and guests sipped homemade apple cider before dinner began. 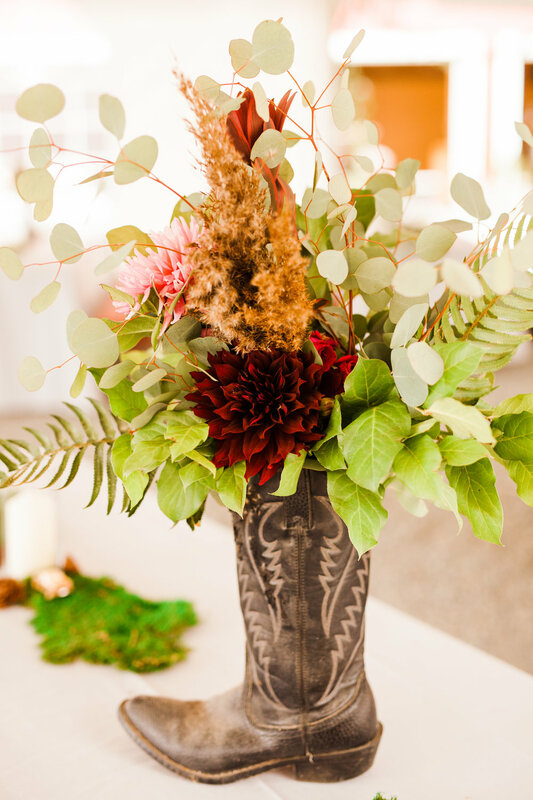 A garland of locally sourced greens covered the entrance to the reception tent, some tables had garlands of eucalyptus and some had florals coming from vintage cowboy boots. It was so fun to spray paint tiny trucks and horseshoes metallic gold as a nod to the couple’s favorite hobbies. Getting ready was so fun with Beauty by Caitlin Nicole doing hair and Karyssa Davidson Makeup with @oliveandopalbeauty making us look incredible for photos. Everyone wore either floral crowns or floral combs. Bridesmaids wore jewel tone dresses with Christa’s sister as MOH wearing a floral-print gown. I did two floral hoops and two bouquets including greenery, pampas grass, garden roses, dahlias and protea. 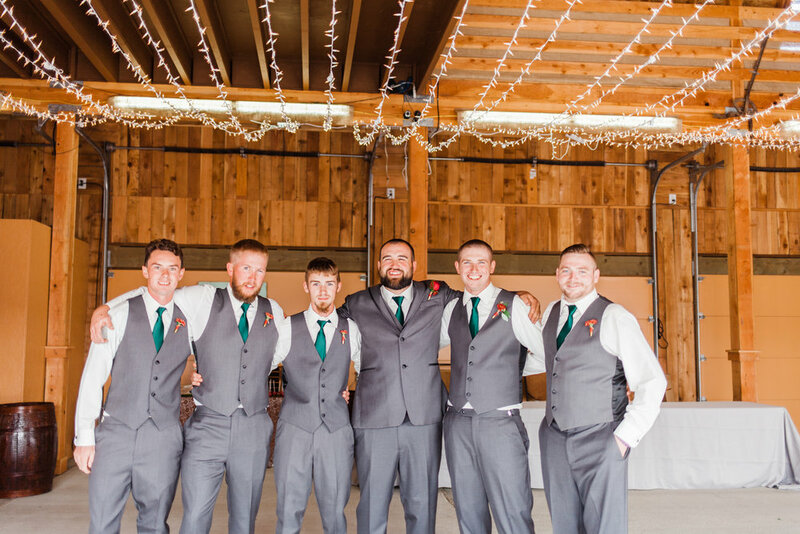 The groomsmen wore combinations of gold, burgundy and hunter green ties with their charcoal slacks and vests. I fashioned Bruce’s spent shell casings into magnetised bout holders and used burgundy poms, garden roses and eucalyptus. Pinning Bruce’s bout was a highlight of my day! The altar area in the dahlia garden at Stocker Farms is beautiful with rich mahogany benches for guests and a lovely arbor, perfect for decorating. Christa and Bruce did a tree planting ceremony instead of a unity candle and stood on sheepskin rugs from Poland. The bridal party was so much fun-laid back and enjoying every second of the couple’s big day. The couple’s sweetheart table was set up with a velour settee for the couple, a handmade sign saying “Nailed It!” by @woodinville_sign_lady as a shoutout to Bruce’s love of tools and rebuilding vintage Fords. I added jewel tone sequin runners and lots of candles and florals to complete the look. I love having a career in the wedding industry, helping couples realize their goals for their special days but one thing I often don’t get to see is the beginning, middle and long term of a relationship and Christa and Bruce have adopted myself and my family as their own, welcomed us into their lives and allowed us to take part in the ups and downs of their love story. Together these guys can and will do whatever they set their hearts to. Congrats again Mr and Mrs Kelley!